Knight Frank leasing director Gary Loo believes Melbourne's CBD retail market is on the mend after seeing the number of vacancies fall despite a rise in floor space. According to Mr Loo, the CBD’s retail vacancy rate fell from 3.9% to a current rate of 3% and shopping centres recording the highest decline of 4.1% to 2.3%. Clothing retailers have now surpassed food outlets as the most dominant occupier of prime CBD shops, occupying 28.2% of total floor space, Mr Loo said. “Since the last survey, a total of 59 new clothing stores have opened while this sector saw 40 outlets closed down,” he said. 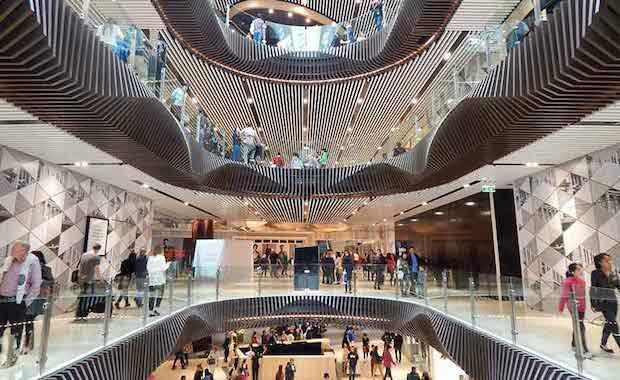 He said Melbourne’s CBD has seen 43,300sqm of retail space added in the newly build Emporium as well as the opening of Swedish retailer H&M. The opening of the Emporium has been instrumental in luring internationally acclaimed fashion retailers to the CBD and has almost reached capacity, he said. Mr Loo said the space attracted many big ticket labels into making their first entry in the Australian retail market, including Uniqlo and Kate Spade New York. The shopping centre witnessed spiked interest from existing international fashion retailers seeking expansion, including Topman/Topshop, Victoria’s Secret, Emporio Armani, Calvin Klein, Coach, Chanel, Brooks Brothers and Muji. “Increasing availability of retail space in Melbourne’s CBD is being balanced by the influx of international retailers either looking to make their first entry or expand their store network, which has sustained the retail rents in the 12 months to June 2014 period,” Mr Loo said. Knight Frank found that retail rents in Melbourne’s CBD core currently range between $7,500 per square metre and $10,000 per square metre for the ‘super-prime’ retail along Bourke Street, while the prime properties achieve rents in the range of $2,500 per square metre to $5,000 per square metre. Knight Frank analysis reveals that retail sales above $1 million across Melbourne’s CBD and Docklands precincts during the 12 months to June 2014 totaled $260.3 million across 21 assets, increasing from $81.7 million across 11 properties a year ago.